Sinead Baker/Business InsiderWalmart’s website advertises deals for Cyber Monday 2018. This year’s Cyber Monday is predicted to be the biggest online shopping day in US history. The day is expected to generate $US7.8 billion in sales, up nearly 18% on last year, according to an Adobe Analytics report. Cyber Monday is expected to generate $US7.8 billion in sales, up nearly 18% on last year, according to a new report from Adobe Analytics. Black Friday pulled in $US6.22 billion in online sales, Adobe Analytics said, according to CNBC, up 23.6% from a year ago.Thanksgiving Day itself has become a big shopping day too, attracting an estimated $US3.7 billion in sales. Ray Wimer, an assistant professor of retail practice at Syracuse University, told Business Insider in an email that the two events had merged as shoppers’ habits shifted online. 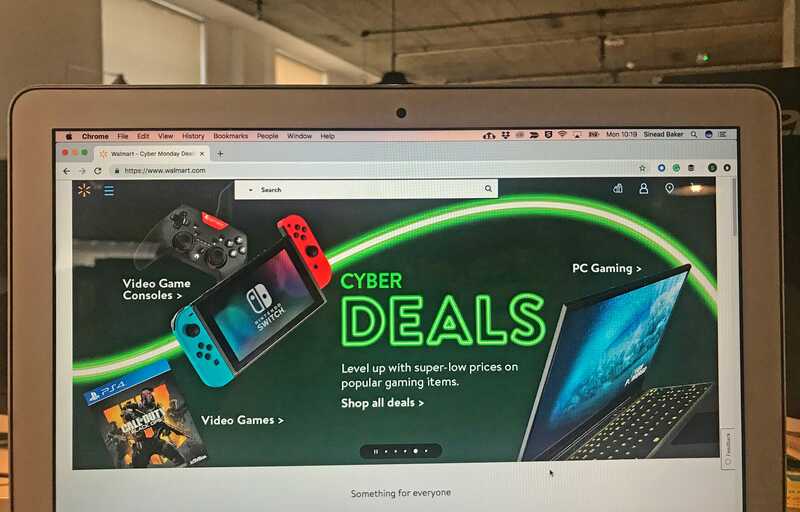 “Black Friday is really no longer a one-day shopping extravaganza, it really signals a kickoff to a four-day promotional period that concludes on Cyber Monday,” he said. Black Friday saw a record of more than $US2 billion in sales done through smartphones alone, the Adobe report said, per CNBC. With $US30.8 billion made in sales over 24 hours this month from a single company – the e-commerce platform Alibaba – Singles Day celebration is easily the biggest shopping event on earth.